Zebra’s are one of the most recognisable animals on the planet. Their striking pelage with its exquisite markings has made them a reference for fashion houses and designers alike. This beautiful African equid has though suffered at the hands of humans, who have hunted them for their skins and meat (and continue to do so), and in the case of the quagga, have pushed them to extinction. There are three species of zebra and several sub-species. 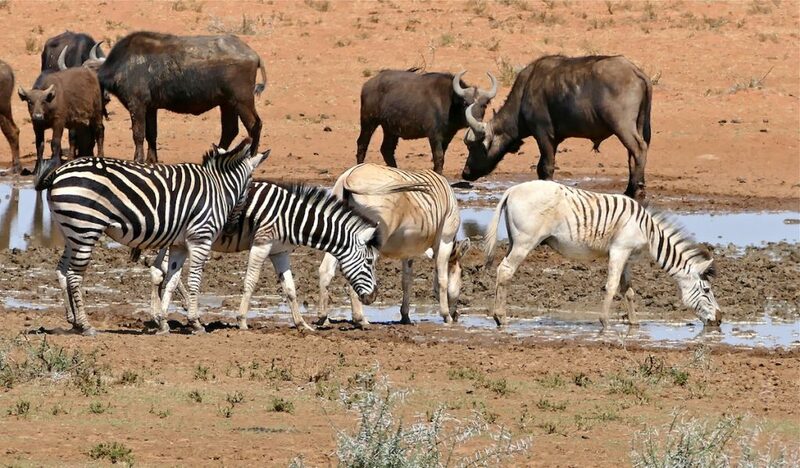 The three species comprise: the plains zebra (Equus quagga), the mountain zebra (Equus zebra) and the Grévy’s zebra (Equus grevyi). The plains zebra and the mountain zebra belong to the subgenus Hippotigris, but Grévy’s zebra belongs to the subgenus Dolichohippus and is the only species within this subgenus. The plains zebra is the most common species distributed across much of southern and eastern Africa, whilst the mountain zebra is found in southwest Africa, and the Grévy’s zebra inhabits Ethiopia and northern Kenya. The conservation status of the mountain zebra and Grévy’s zebra is under threat and they are classified as endangered. Zebras are found in a variety of habitats, such as grassland, savanna, woodland, thorny scrubland, mountains and coastal hills. 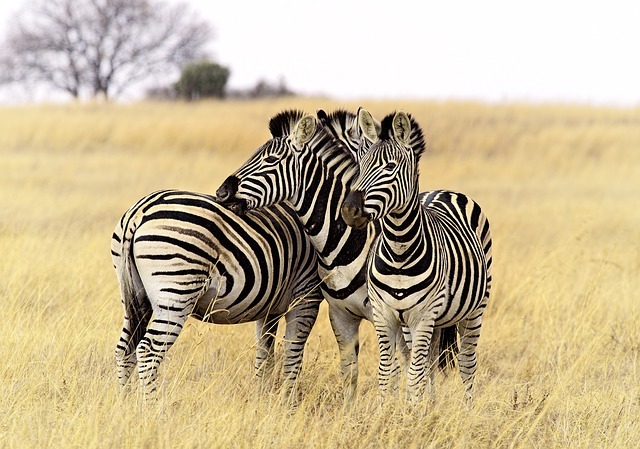 Although zebra species can have overlapping ranges, they do not interbreed. The ‘background’ colour of a zebra has been shown to be black and it is the white stripes that are the addition. Each animal has unique striping, which can be used to identify individuals. The quagga was a subspecies of the plains zebra and differed from other zebras by having stripes on the head, neck and front portion of its body only, and brown colouring over the rear of its body. They lived in the drier parts of South Africa associated with grassy plains. The northern limit of their range appears to have comprised the Orange River in the west and the Vaal River in the east; the south-eastern border may have been the Great Kei River. Genetic research indicates that the quagga descended from a population of plains zebras that was isolated in the Pleistocene; the reduction in striping has been explained as a possible adaptation to living amongst open country habitat. Extensive hunting in the nineteenth century led to the eventual extinction of the quagga, with the last known animal dying in Amsterdam Zoo in 1883. Only a single photograph (from the London Zoo) of a living quagga exists, along with twenty-three skins that are held by various museums. The journey to restore this species to the African plains was started in the late 1960’s by Reinhold Rau, who was a trained ‘fossil preparator’. He took up a position in a South African museum in 1951 and it was here that in 1969 he undertook the re-mounting of a quagga foal. During the process, he discovered that soft tissue was still present on the skin of the foal, which Rau collected along with tissue samples from two other quagga skins, and it was from these samples that DNA analysis was undertaken by the University of California (Berkley) in the early 1980’s. The results of the analysis showed that the quagga was a sub-species of the plains zebra, which was confirmed by a later comprehensive DNA sequencing study of thirteen samples. Because the quagga was shown to be a colour variant of the plains zebra, there was the possibility that quaggas could be reinstated through selective breeding. Animals would be selected on the basis that aspects of their coat colour and striping patterns, tended towards those of the quagga. In 1987, nineteen plains zebra were selected from a variety of locations. These zebra exhibited a reduction in striping over the rear of the body or legs, and did not have a dark background colour. As time progressed, those offspring with heavier striping were removed from the programme. It was estimated that four generations of selection would be sufficient to demonstrate the feasibility of selective breeding in restoring the quagga phenotype. The Quagga Project has not been without controversy – some conservationists believe that even if an animal conforming to the pelage of the quagga were produced, it could not correctly be described as a quagga because the original quaggas might have had other attributes, which differentiated them from plains zebra. 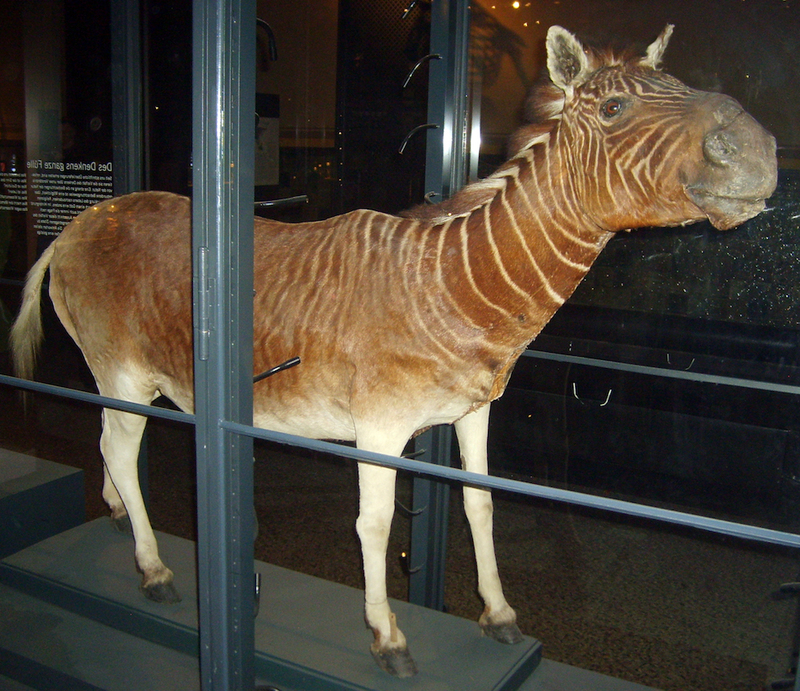 The project has seen some success in terms of producing animals that do look very similar to the extinct quagga as can be seen from the photograph above. Whilst the modern day ‘Rau quagga’ is not necessarily genetically the same as the original quagga, the colouration and ability of the animal to live in the native range of the original quagga, is considered to be the aim of the project – on this basis, it appears that they are succeeding. 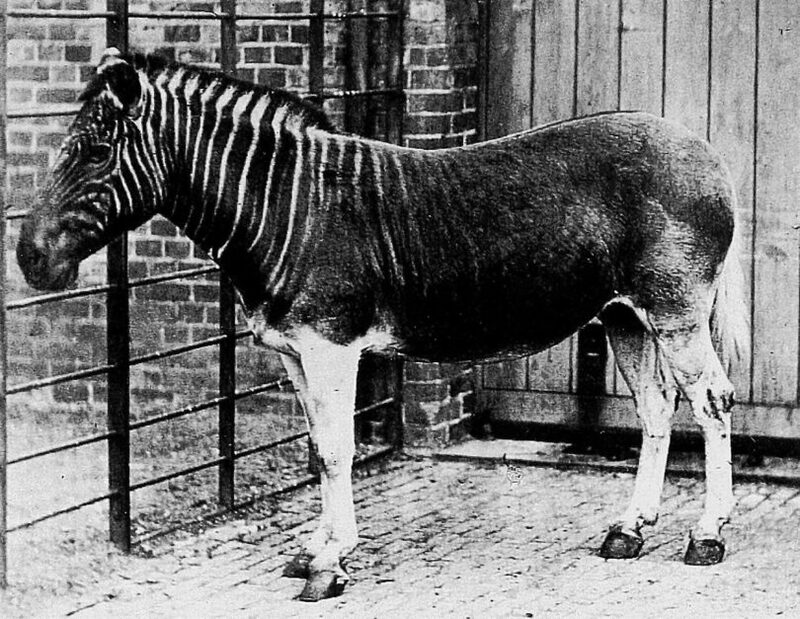 Header Image: Quagga mare at London Zoo, 1870. The Quagga project: progress over 20 years of selective breeding. Eric H. Harley et al. (2009).